Building a new home should be an exciting and enjoyable experience. Newrock Homes makes every effort to ensure your happiness throughout the building process by communicating with you, finding out your needs and desires, and working toward common goals We offer over 40 floor plans to ensure your home has lasting value and avoids being “cookie cutter”. Newrock Homes tells you upfront what to expect during the building process and keeps you in mind with each nuance that makes your home personal. As your vision for your home forms, you can expect our assistance from the initial meeting to the final walk through. You will find no hidden costs when you decide to build your home through Newrock Homes; once we inspect your property we’ll provide a firm price and stick to it. If you need assistance finding property, we are happy to locate land and help you find the best financing available. Currently there are over 600 lots to choose from in Southwest Washington State. We are also available after hours and weekends by appointment only Newrock Homes Inc. distinguishes itself from other builders by offering high quality at affordable prices. You have our word on it. 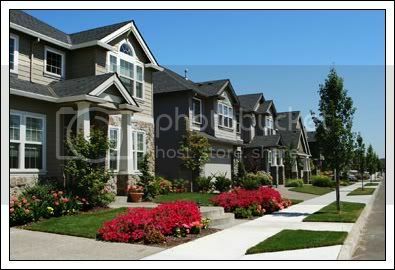 Compare prices and quality with other builders and you will find Newrock Homes stands out among competitors. As a high volume, full service contractor that has long standing relationships with highly skilled craftsmen, Newrock Homes is able to offer extremely competitive pricing. We firmly believe Newrock Homes offers the best built home for the money anywhere. Want to Finish a Home Yourself? Sometimes the dream of new homeowners involves putting the finishing touches on the home themselves. Other homeowners may wish to hire preferred subcontractors to do the final work. Either way, Newrock Homes provides a means to make the dream a reality. Newrock Homes offers an option for these homeowners that provides a "dried in" home. 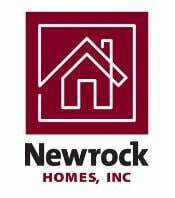 Newrock Homes completes the foundation, framing, siding, roofing, windows and doors. The homeowner is then free to either finish the home independently or hire subcontractors to complete the work. This option can shave up to 30% off the cost of a new home. 360-414-4000 Newrock Homes purchases a 5-year, limited warranty through the Residential Warranty Corporation (RWC) to cover your home from the second year through the sixth. This is provided at no cost to you.